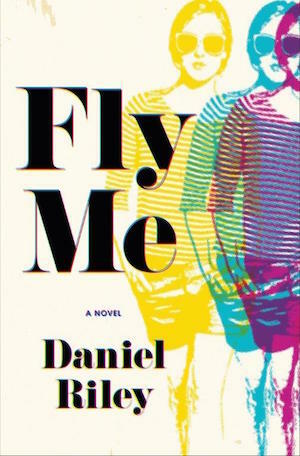 Daniel Riley is the author of the new novel Fly Me, which focuses on a flight attendant based in Southern California in 1972. 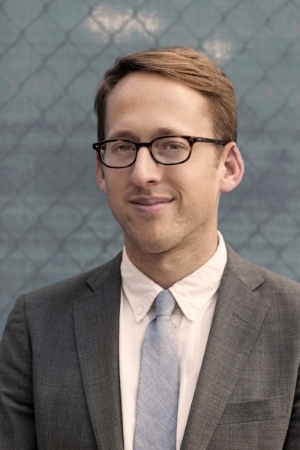 He is a senior editor at GQ magazine, and he lives in New York City. Q: How did you come up with the idea for Fly Me, and for your main character, Suzy? A: I grew up in Manhattan Beach, California, the South Bay of Los Angeles near the airport. That’s what [the book’s location] Sela del Mar is based on. I had family and their friends hanging around who had flown as stewardesses in the ‘50s and early ‘60s. My grandmother’s cousin worked at LAX and started a museum there, the Flight Path Museum. I was there after I graduated from college, spending time with people who had been stewardesses in the 1970s and looking at diaries of theirs and old uniforms. I was thinking about the early ‘70s, what happened in the beach towns were the pilots and stewardesses lived. What kind of person is that? With Suzy, I wanted an outsider…I grew up with women in my life; I triangulated the strange and specific consciousness of this character—growing up tomboyish but working in a feminized industry. I was figuring out what it was like to be a man versus a woman, what happens when you’re born a year too early or too late, what would a woman think here? And this very specific woman? Q: Why did you decide to set the book in 1972, and how did you research the time period? A: A lot of different roads led to that year. I knew that the first half of the ‘70s was where most of the heat was from people I grew up with, in their stories. Nothing was more alive in their stories. The culture at that time, what was happening in Southern California, the moment for women, women’s lib, schools turning over. In the airline industry, the last gasp of the rules from the 1950s and ‘60s was in play [such as] forcing people to quit for getting married, or for going out of the weight limits. Then obviously you have cocaine coming to Southern California for the first time en masse and skyjacking had its hottest year in 1972. There was often as much as one skyjacking a week. With metal detectors and security, skyjacking ends. It was the confluence of all these things—it’s the perfect year to have all these things jumping up against each other. Q: How did you research the time period? A: I did a lot of historical research, and read fiction of that time [to get at] what a refrigerator handle might feel like—Didion, Renata Adler, Roth. As far as airplanes go, it was a combination of diaries, journals, good history. One book was Femininity in Flight, about the legal plight of female employees. It was great to dig in—there were years and years of that stuff, even after I had drafts, I was layering in details…It was a lot of fun. I like when in books you feel the writer bringing their enthusiasm for a given thing. A: It took a long time. I had an original concept—a young woman outsider at the beach, flying, ends up at the end of part one with a bag of cocaine in her carry-on. It was always that way. It was languorous, not high-stakes. I didn’t know where it went after that. When I got a sense of what the last scene could be, it unleashed the rest of it. You have to put a lot of things in play, and start chipping away at the sense of her having any control, leaving her in an impossible bind. You see she thinks a serendipitous meet-cute has happened [with another character], but we learn she’s targeted to be a mule. You start to thread these things in. I’m mesmerized by people who write and don’t know where they’re going. It would be challenging for me. If you spend about this much time in this scene and then figure it out, it’s a lot more effective for me. A: I had two other book ideas. One, I don’t think will work. I’m starting the other one, and I just have a normal day job at GQ editing feature stories. It seems like there’s film and TV interest for Fly Me, so I could get the first crack at a screenplay.